Alessandra Zini, born in Reggio Emilia, Italy, graduated from the Fine Art Institute Accademia di Belle Arti in Bologna, taught by the master engraver/stage designer/painter Luciano de Vita. During her academic years she is awarded the 1st price in “Fine Arts: Tendencies of Ermerging Artists” and following, she receives the “Art Award” from Giorgio Mondadori editor for two consecutive editions. Thanks to her passion for engraving, in 1996 she inaugurates her etching atelier and art-shop Punta d’Argento in Vicolo Arcipretura 2/e in Reggio Emilia, Italy. Alessandra starts exposing her works in various locations: ImmaginaArte in Reggio Emilia, Art Point Black Gallery in Florence, ArtExpo in New York City and Maragall Edicions Gallery in Barcelona. 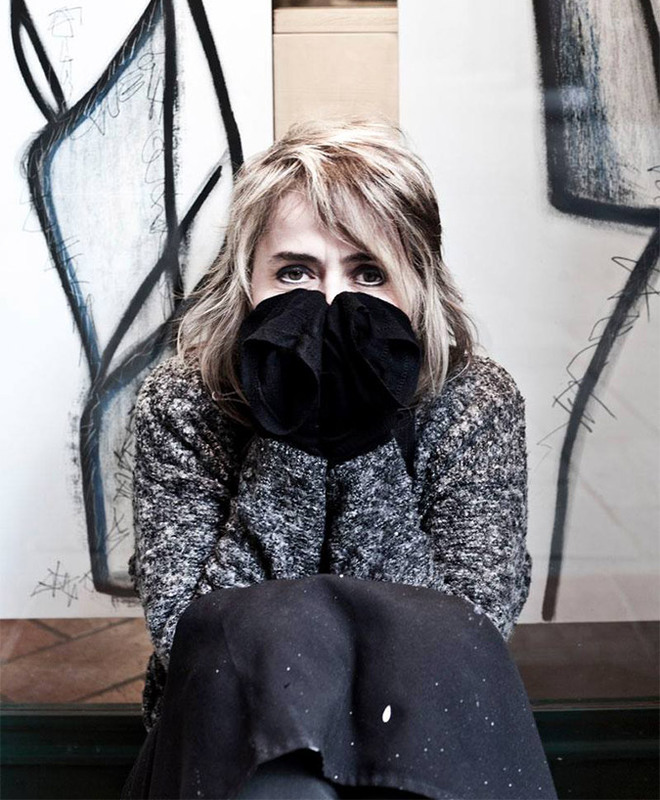 In 2008 she joins a community of artist in running the art-space “Atelierviaduegobbitre”, located in an antique palace in the historic centre of Reggio Emilia, where art expositions, bringing together numerous Italian and foreign artists, are organized regularly. Later in 2008 and in 2009 Alessandra Zini is invited to expose her artist’s books at the famous show “Arte Libro” held at Palazzo Re Renzo del Podesta’ in Bologna, Italy. Further, in 2009, the Instititute for Art & Culture and Nature for the region Emilia Romagna publishes the distinguished book “Stampatori e Botteghe d’Arte in Emilia Romagna” and dedicates a rather large section to Alssandra Zini. From 2011 she is selected for the craft’s section (guild) of the international salon “Maison & Objet” in Paris, France, run by the Atelier d’Art de France. In 2012 Alessandra is invited as sole artist to expose at the Art Wine Design Gallery in Brussels, which is located on the prestigious road where the Parliament is located. The project “Il canto della terra” (trasl. : “the song of the earth”) inspired by Gustav Mahler’s synphonic opera “Das Lied von der Erde”, in which she collaborates with two other artists, is finalized in 2014 and exposed at the contemporary art gallery Rezarte in Reggio Emilia. In 2015 Alessandra Zini starts collaborating with the company Eria 1971, specialized in famous brands, creating an Art Collection of domestic appliances, presented at Homi in Milan, Italy.